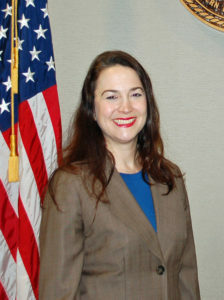 Allison Bushnell joined the U.S. Attorney’s Office in the Western District of Louisiana, Shreveport office, as an Assistant United States Attorney in 2005. In 2007, she was designated as one of three Organized Crime Drug Enforcement Task Force (OCDETF) attorneys in the Western District of Louisiana. She was designated Lead OCDETF Attorney in 2015. Although her primary focus is prosecuting narcotics trafficking, she continues to prosecute various types of cases from fraud to immigration violations. Prior to joining the U.S. Attorney’s Office, she served as a law clerk to the Honorable S. Maurice Hicks, Jr., Federal District Court Judge in the Western District of Louisiana (2003-2005). She also clerked for the Honorable Frank J. Polozola, Federal District Court Judge in the Middle District of Louisiana from 2001-2002. In between clerkships, Mrs. Bushnell was an associate attorney in the Shreveport office of Lemle & Kelleher. She graduated with honors from Louisiana State University Law School in 2001. Since moving back to Shreveport in 2002, Mrs. Bushnell has been active in the Shreveport Bar Association. She served as the Shreveport Bar Association, Secretary-Treasurer (2010), and as the Secretary-Treasurer-Elect, which serves as the Treasurer of the Krewe of Justinian, the area legal community’s Mardi Gras krewe (2009). Mrs. Bushnell was also active with the Young Lawyer’s Section of the Shreveport Bar Association from 2003-2007, serving as President in 2007. She is also a member of the Louisiana State Bar Association. A proud graduate of Louisiana Tech University (1996), Mrs. Bushnell served as a board member on the Louisiana Tech Alumni Association Board of Directors from 2004-2009. Mrs. Bushnell has two children ages 10 and 6. They reside in Shreveport, Louisiana.